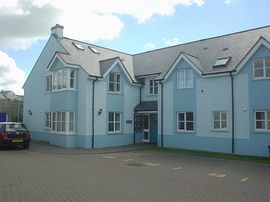 Our very popular self catering holiday apartment in Broadhaven, Pembrokeshire is ideal for families wanting a seaside holiday, because it is just 250 yards from the lovely sandy beach and the Pembrokeshire Coast Path. 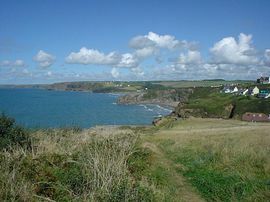 It is right in the middle of the small seaside village and half a mile from beautiful Little Haven. It is an excellent base for those wanting to visit Skomer to see the Puffins, or for walkers keen to explore the sheltered St Brides Bay. The apartment sleeps 4 and is exceptionally child friendly, but is not suitable for dogs. A small deposit (cheque or online banking), will secure your booking with full payment required 8 weeks before arrival. 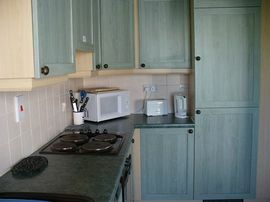 Available all year round for long or short breaks with last minute reductions where possible. On the doorstep are several very good places to eat and drink including the newly opened Ocean cafe Bar and restaurant, 2 minutes walk away which has free WIFI. 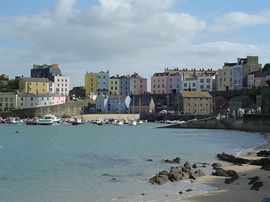 Easy to find right in the centre of the village of Broad Haven, which is due west 125 miles from the Severn Bridge. Prices start at £120 and rise to £585. This includes electricity, a good selection of cleaning materials, some basic food stuffs and clean cotton bed linen. 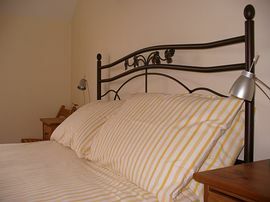 Short breaks on a per night basis approx £70. Please visit our website for very favourable visitors comments.